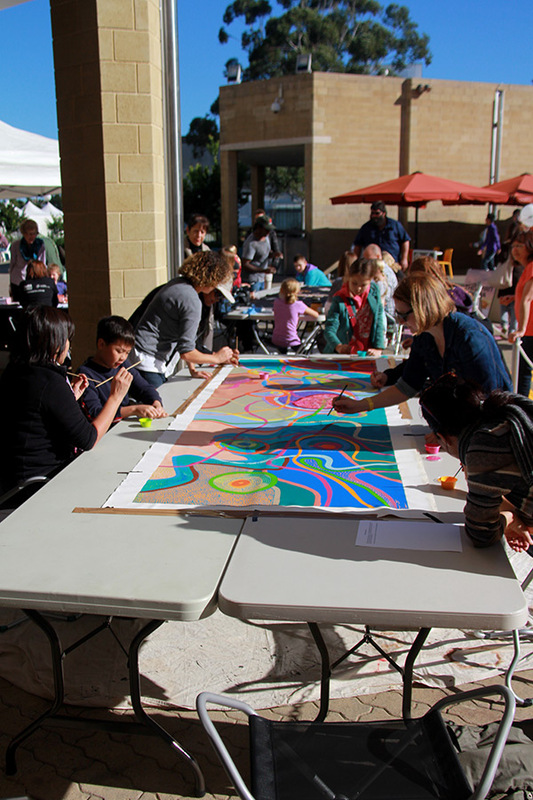 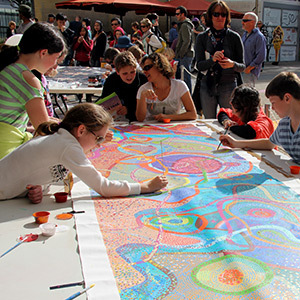 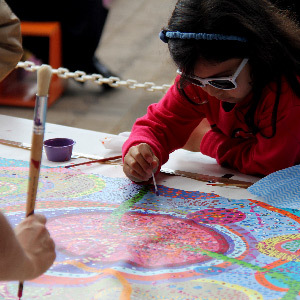 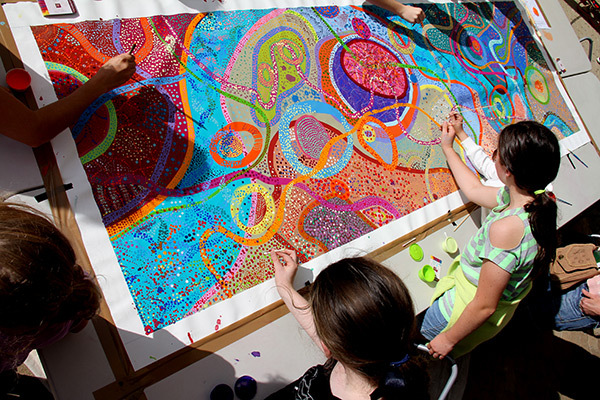 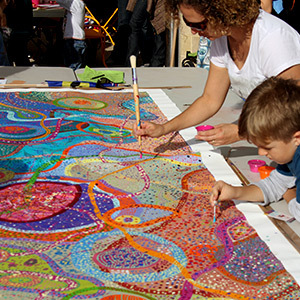 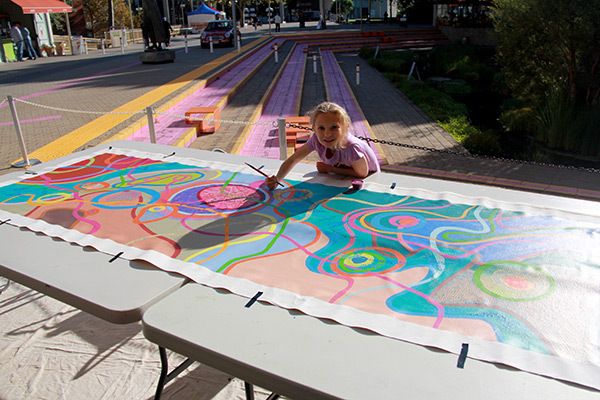 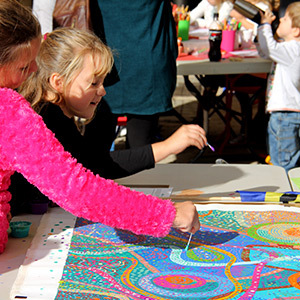 On Celebrate WA Day 3 June 2013, Deborah Bonar conducted an interactive community art workshop where community members were invited to contribute to the artwork by painting dots and adding to the overall design. 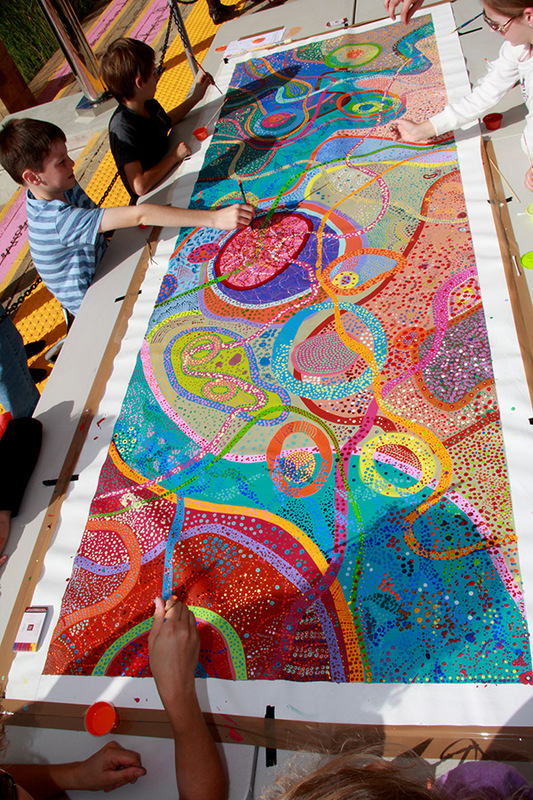 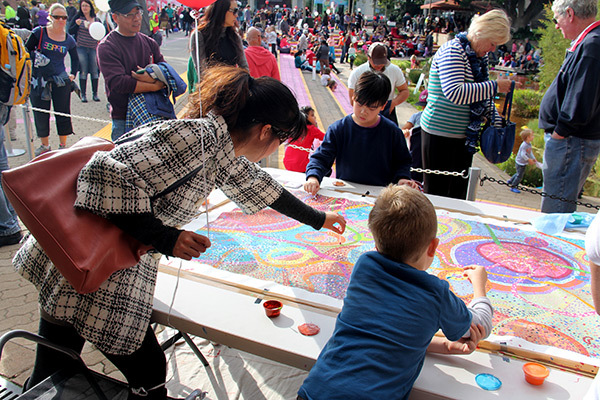 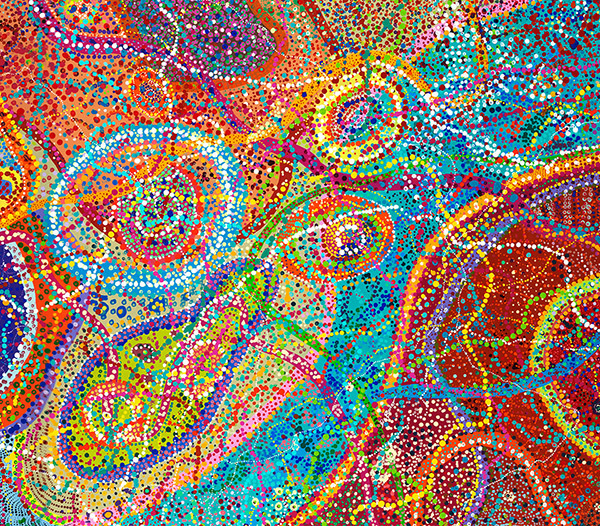 A painting measuring 1 x 3 metres was created outside the Art Gallery of WA. 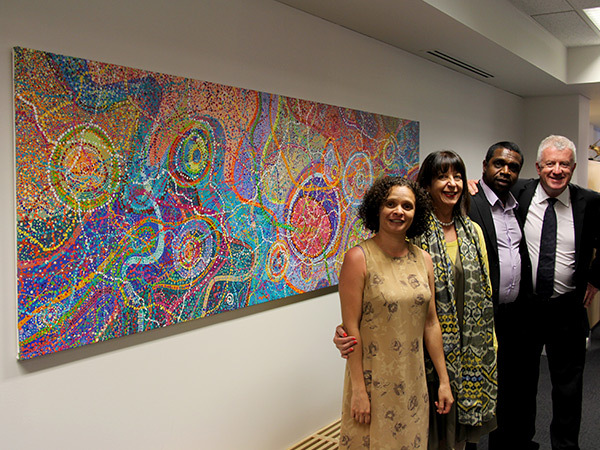 This painting is now in the Celebrate WA Art Collection. 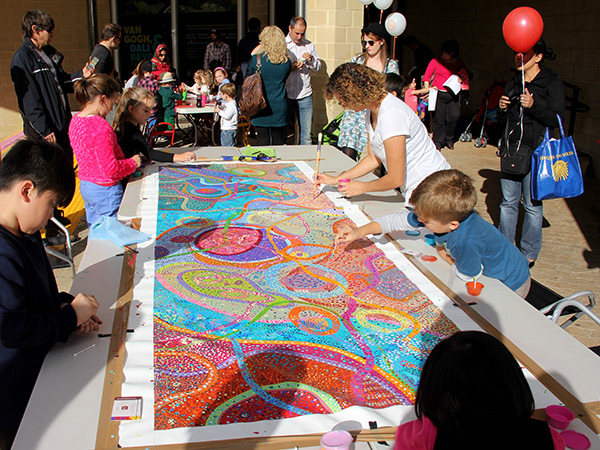 The Celebrate WA Day completed community canvas painting.